Fine haircuts, coloring, highlights, lowlights, hair smoothing for very curly and unmanageable hair. Spa and power dose treatments for frizzy, dry, damaged hair. ever to become an Alchemane Hair Extensionist. become a hair-extensionist in no time! Hair Styling and Hair Care: we believe with beauty comes strength to cope up with ever changing fashion trends. 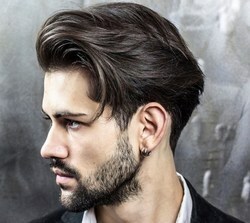 Hence, bring to you the very best of hair stylists, access to international experts and world famous hair products for women.We are providing the hair cutting in the minimum cost(in your budget).